Our STEM program offers challenging, real-life situations that are solved using project based learning . Our STEM program is devoted to the community. This year, we've made Kelly Cofer Lake our project. One of our current projects is our pollinator garden. It will be used as a tool for teaching the community about pollinating insects and plants. Another project is our aviary sanctuary. It will be used as a tool for teaching the community about birds. "I think that STEM is a great experience. The opporrtunity to better the community while learning unique skills is one I wouldn't trade." "I think STEM so far has been great because it is like a big family and when you need help there are others there." "I appreciate the STEM program's interconnected curriculum and real world PBL's. It was the reason I joined STEM. I am excited to work with larger groups and businesses in the future." "I really enjoy STEM this year. I love how integraded problem based learning is in the curriculum and I am happy to be in the STEM program for the rest of high school." The STEM Program at Tucker High School is a cohort-style, problem-based learning model. Students are selected to join a one-class cohort in 9th grade where the students travel to their core STEM classes together, including Science, Math, Engineering, and Literature. This model is carried out over all 4 years of the program and the curriculum include accelerated, honors, gifted, or Advanced Placement courses. Each teacher involved with the program works together to institute a collaborative, integrated, and engaged environment where the students learn in an interdisciplinary and connected way. The program is also centered around one central theme and project, Kelley Cofer Lake. In conjunction with DeKalb Parks and Recreation and Friends of Kelley Cofer, the students work on various aquatic, biological, and marine engineering projects throughout the year. These projects are worked into the curriculum as problems where the students must develop solutions and institute the solutions at the lake and around the community. The STEM Program has several levels of integration throughout the entirety of the program across all grade levels. The initial integration involves the collaboration that takes place at the committee level. Julie Todd (Science & Chair), William Greszes (Math) and Cory Booth (Engineering) are the primary STEM Program committee members with Jo-Anne Branch, Assistant Principal of Instruction and Shanesa Walker, Counselor, assisting with input on the direction of the program. The three primary chairs work together to plan out the problem-based learning projects the students are exposed to. The projects range from small in-class assignments to full projects where designs are constructed and installed at the lake or at the school. These projects serve to make the explicit connections between the different disciplines and allow students to work across the curriculum from each discipline in a logical and guided manner. This allows the program to be spread across each classroom and have accessibility and visibility to the surrounding community. After the committee has decided on a problem or project, the corresponding teachers who will be involved in the project are asked to provide input from their curriculum and create an integrated design brief and grading criteria. Once everything has been completed, it is then given to the students. This process is ongoing and changes from project to project. However, we always strive to include science, math, and engineering concepts in the projects. Often we will involve the literature and composition component in the projects through the students completing their research papers or proposals with the literature teachers, increasing their technical writing skills. Pollinator Garden - In the spring of 2015, the Tucker High School STEM program began construction on a garden to attract pollinating insects to the area. The pollinator garden would also serve as a shared space for the community to meet, socialize, and work. Before constuction began, the STEM class of 2018 wrote project proposals stating what we planned to do over the course of our four years concerning the garden. After plenty of planning and a few lake clean-ups later, the STEM class began clearing out the construction area with the help of several volunteers from around the area. We began by digging out soil to create flowerbeds. Once this was done, we filled the shallow holes with nutrient-rich soil and compos to raise the flowerbeds up. 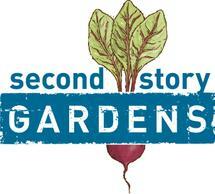 After construction on the grounds was complete, we begann to design signs that would be placed in the garden. These signs would have information on each of the plants and inform the residents of the area about them. Fish Hatchery - In September of 2014, The Tucker High School STEM program organized the construction of a fish hatchery on the school grounds. 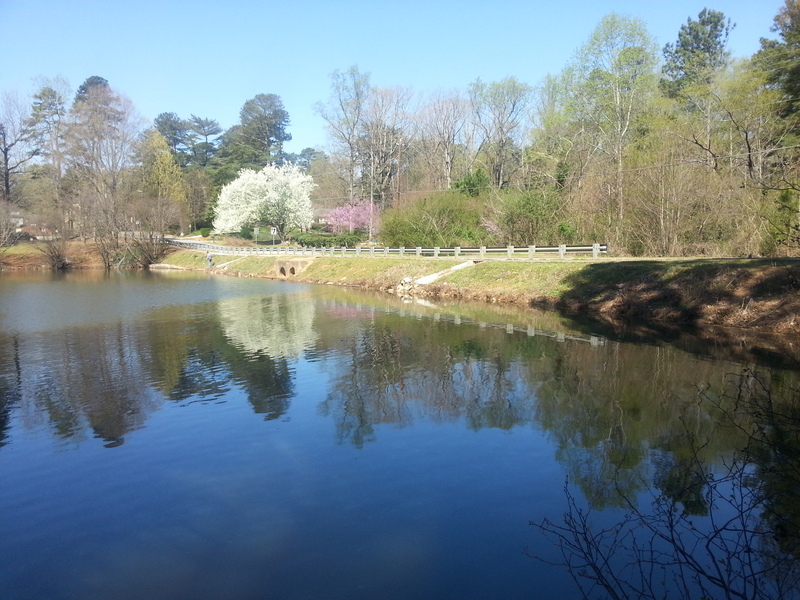 The hatchery was constructed in order to raise fish into maturity in order to be released into Cofer Lake. Since its installment, the STEM students and teacher raised different types if fish,including catfish and trout. As they grew, the pH, dissolved oxygen levels, and ammonia levels of the water were closely monitored and observed to ensure the fish properly grew before being released into the lake. 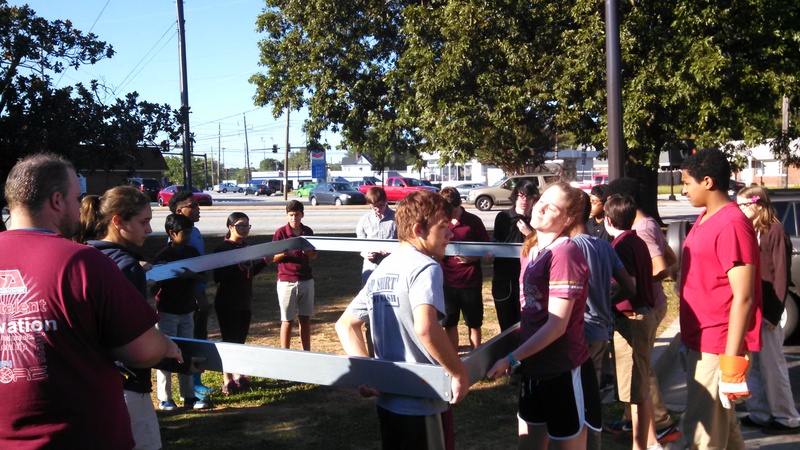 Greenhouse - In September of 2015, both the STEM classes of 2018 and 2019 collaboratively began construction on a greenhouse on the school grounds. Since then, it has become a comunity colaboration between several comunity groups including local buisnesses, boy scouts, and city officials. The mission of Tucker High School is to provide all students with an educational foundation for reaching their maximum potential.